If the Recycle Bin icon missing from Windows 10 Desktop, in this post, learn how to restore it using UI settings or via registry. There is no need to tell what the Recycle Bin stands for a Windows user. It helps you to easily manipulate unnecessary files from your system and provides reversible resource for doing so. The Recycle Bin icon is present on Desktop helps you to delete with drag and drop ability. You can even select multiple entries on Desktop and drag-drop them to the Recycle Bin icon to erase them in once. Imagine if you lost the Recycle Bin icon ever, what will you do to delete multiple items from Desktop? Well, still you can delete items by pressing Delete key after selection, but the above mentioned simplified way won’t work in this scenario. 2. In the Settings app, navigate to Personalization > Themes. 3. Under Related Settings heading, click Desktop icon settings link. 4. 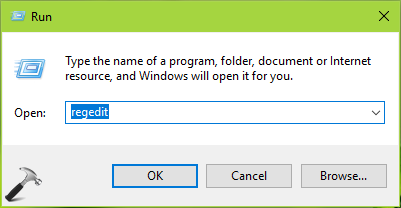 Make sure on the window so open, Recycle Bin is selected/checked. Click Apply followed by OK. This should restore the Recycle Bin icon on Desktop. If it doesn’t, try FIX 2. 4. Type Recycle Bin as the Value data. Click OK and close the Registry Editor. Reboot to make the changes effective. The Recycle Bin icon on the Desktop should be restored now.